As 2018 approaches, ImpactED would like to wish our partners, clients, and friends a joyful holiday season and a happy new year. Thank you for being a part of our community. Evaluation: We completed six evaluations for nonprofits and governmental agencies, issuing findings and recommendations that will accelerate their impact. 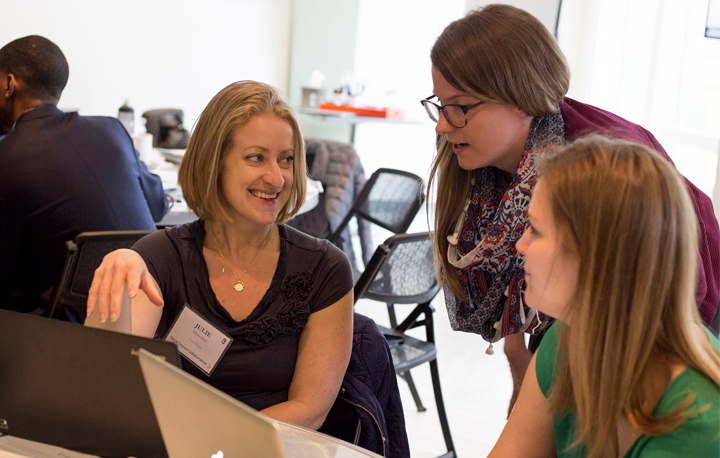 Development: Ten Philadelphia-area organizations completed our inaugural Social Impact Collaborative, an intensive training program that helps organizations collect, analyze, and use data more strategically. Partnership with Fels: In fall 2017, ImpactED established new headquarters within the University of Pennsylvania’s Fels Institute of Government. Our partnership with the school will help us to bridge the worlds of research and practice. In the new year, ImpactED looks forward to continuing to support the vital work of Philadelphia public and nonprofit institutions, remaining committed to our core values of empathy, excellence, and continuous improvement.